Here in the Lot everything ends in “ac”. France has a designation system for towns that are exceptionally pretty, called “Les Plus Beaux Villages de France“. There are approximately 150 in France. Three of them happen to be close by, so today we are going on an explore. Our first town is Carennac, nestled along the Dordogne. It’s lunch time, so we eat outside on a terrace above the Dordogne. It’s lovely, save for Lucy’s ever growing panic over house flies. I am starting to get a little concerned that if she doesn’t get this sorted she’ll end up in therapy. Our logic is no match for whatever she in conjuring in her brain, so we have to sit it out. We manage to keep her calm enough to finish our lunch and head into the town centre, where there is an eleventh century church. It is almost too much for me to imagine the hundreds and hundreds of people that have worshipped here. I think for the kids it is a lost cause. We tell them how old these places are, but I am quite certain that we could say it is a million years old and it would be the same. 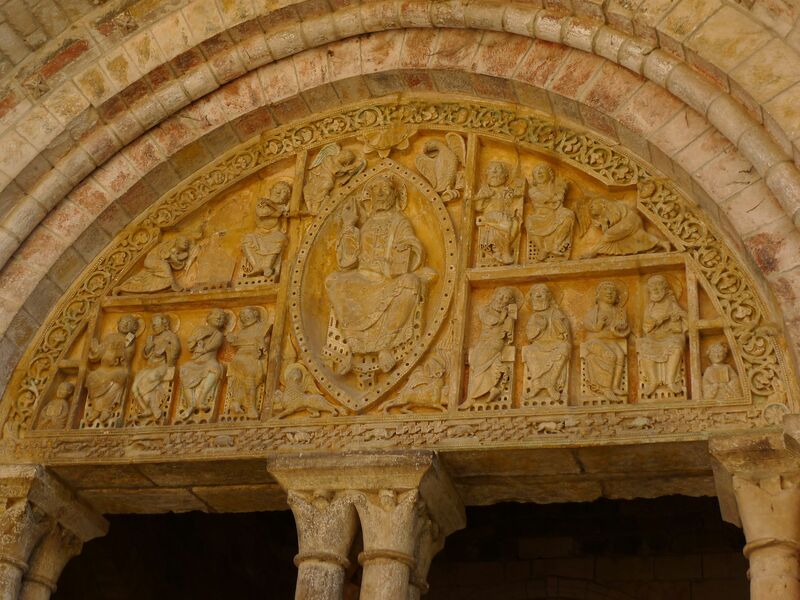 The photo below is of the tympanum over the church door. 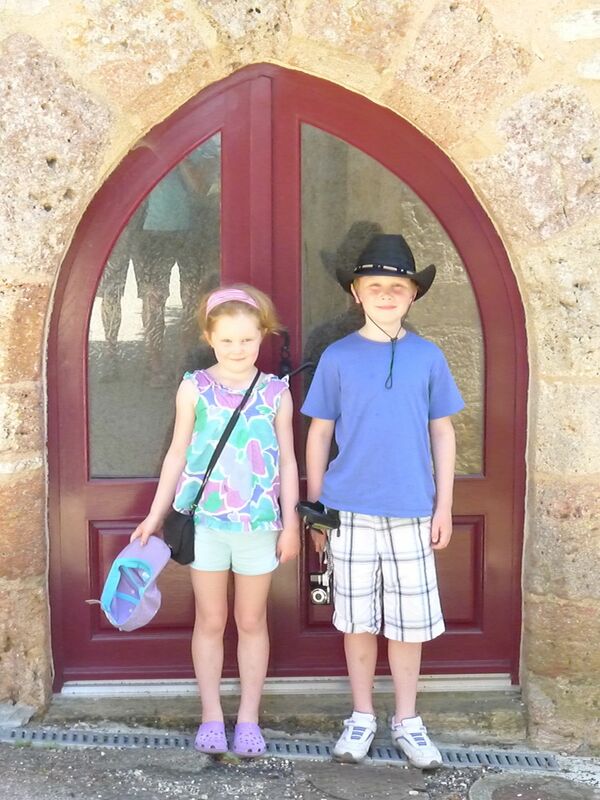 Back into the car and onto Loubressac, another of the "Most Beautiful Villages". 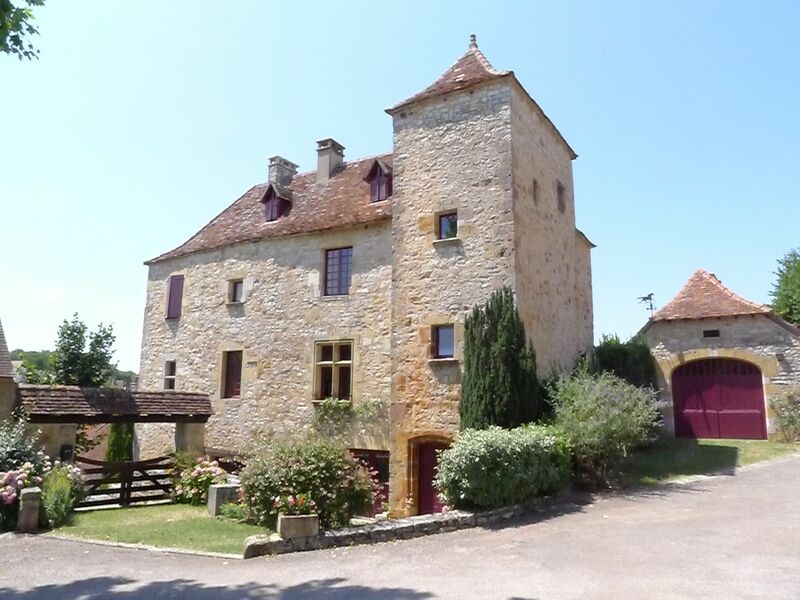 This village is immaculate and is perched on a hilltop with a stunning view of the countryside. Below is a picture of a home within the wee town and another set of wee doors! I don’t think there is any commerce at all in this town, except for an insanely overpriced jumble store and a restaurant.